Ever since we learned that Papa Pearson is not long for this world, we’ve been kinda obsessed with figuring out how exactly Jack died on This Is Us. This means, naturally, there are lots and lots of fan theories out there regarding Jack’s death. While some of these theories do sound really convincing (maybe it was alcohol related, maybe Jack really did die in a plane crash), some of the fan theories are just plain strange. And then there’s the theory that Jack faked his own death, and is out there still living life to the fullest. We know deep in our heart that Jack is, sadly, dead, and we’re already stocking up on tissues. 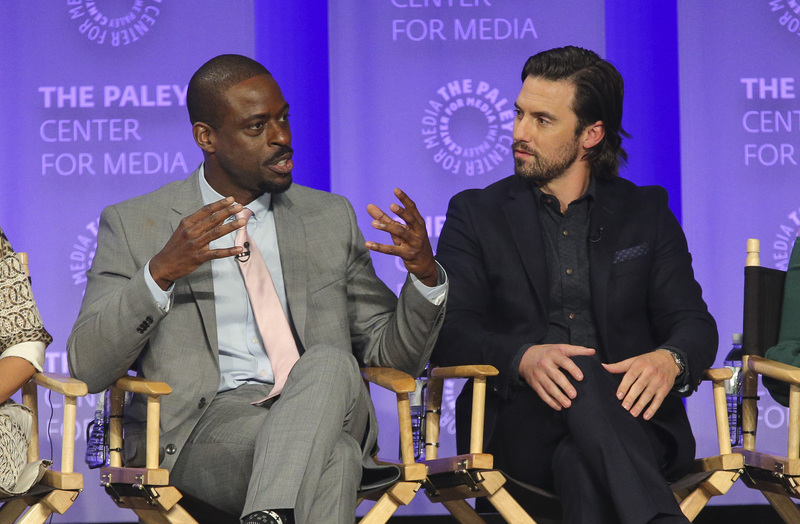 While you might have come across this theory before in your Jack Pearson internet searches, it turns out Sterling K. Brown has not heard this theory yet, and now he cannot deal with it. At the This Is Us PaleyFest in Hollywood Saturday night, panel moderator, E!’s Kristin Dos Santos (a lady after our own heart), was kind enough to quickly run through the gamut of fan theories. A lot of them are easy to shoot down (like, Rebecca killing Jack, and she would never), but Kristin couldn’t help but touch on the outlandish theory we WISH would become a This Is Us reality: Jack’s still alive. She announces it to the crowd to wild cheering, naturally. And that’s when Randall piped in about his dad’s fate. "I would be so pissed off!" Sterling yells to the crowd. "He faked his death...and he's just going through life...I'd be like WHAT?" You can tell he is trying to wrap his head around this whole theory, and he’s not buying it. But also, he’s loving it at the same time because that kind of twist would be hilarious. TBH, that’s just the kind of twist This Is Us would pull on us.